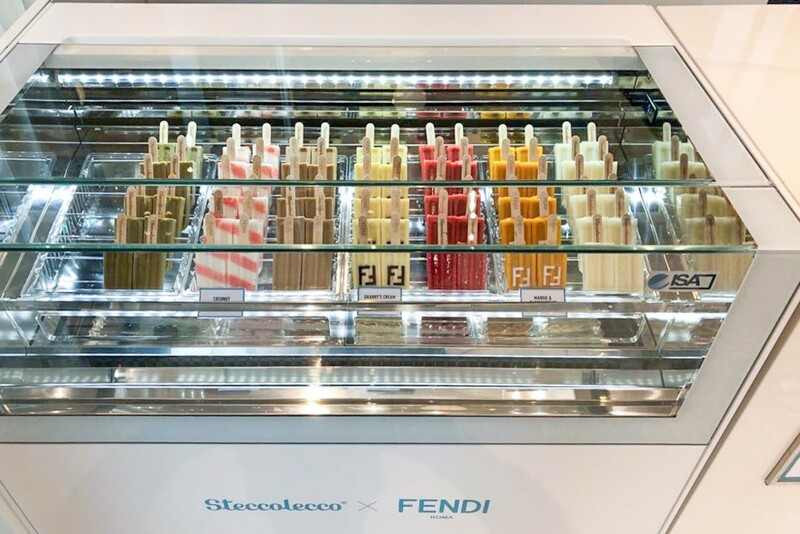 In the new Fendi “pop up store” at Selfridges in London you can find limited edition ice-creams by Steccolecco made with natural ingredients, exhibited in the elegant professional display cabinet Oneshow by the italian company ISA SpA. Aiming to bring the spirit of a traditional Roman piazza to London the Italian brand Fendi launches a new pop-up store at Selfridges, which most recently played host to AF Vandevorst, Michele Lamy and Gareth Pugh, for the duration of the summer. 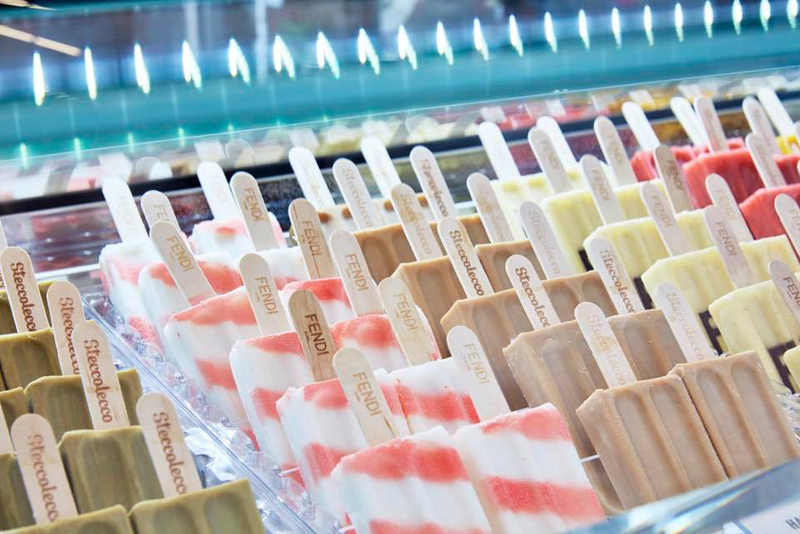 The “Fendi Kiosk” will incorporate a “gelato stand” in partnership with the Italian company Steccolecco, renowned for their natural ingredients, exhibited in an elegant Oneshow professional ice cream display cabinet also with unmistakable Italian design and technology, those of ISA SpA. Another booth offers a postcard stand, where visitors can purchase personalised Fendi cards that trace the history of the brand’s FF logo. An in-house calligrapher is on hand to write messages and the cards can be posted directly from the space, as well as you can find a “balloon drops”, with special edition Fendi balloons freely distributed in limited quantities twice a day. 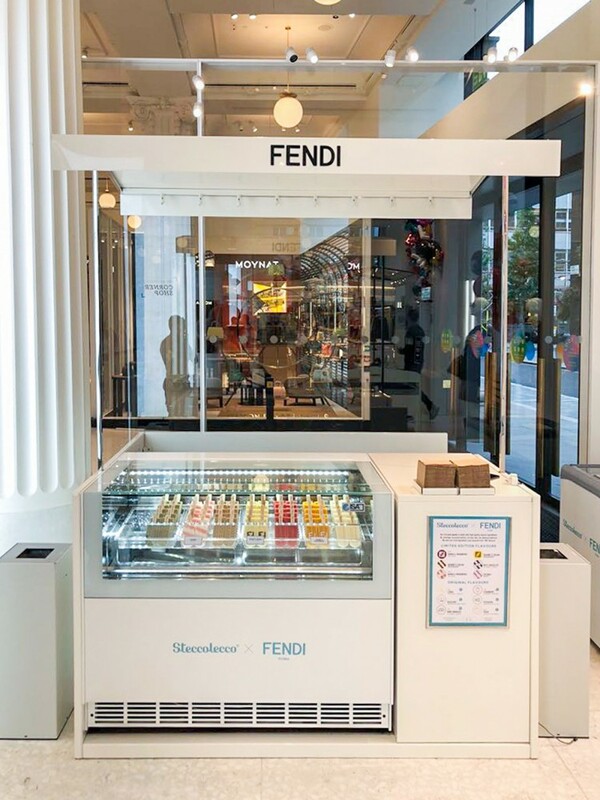 This special gelato stand is available in the UK for the first time, only at Fendi croner in London. 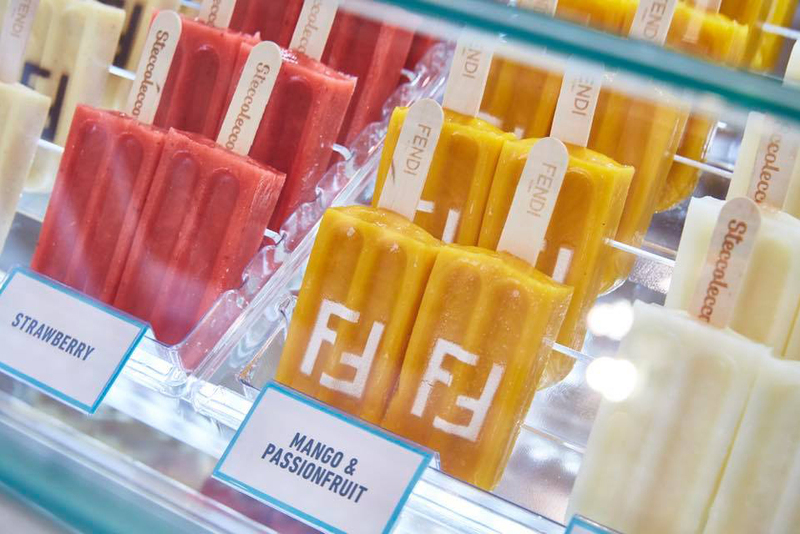 At the kiosk, you can be also among the first to buy items from the brand’s autumn/winter 2018 collection pre-launched exclusively at Selfridges and collect wooden sticks with double F becomes “a must have” like few others.